For many, the Philippine president’s controversial war on drugs pales in significance to medical services, better roads and safer streets. For the past 45 years, Manuel S. Abad and his family have rented the same house in La Loma, a densely packed barangay (neighbourhood) in Quezon City – part of the sprawling, 28 million-strong Metro Manila conurbation. The house is 60 square metres. The family of six share two bedrooms, making do with four bunk beds and some mattresses on the floor. 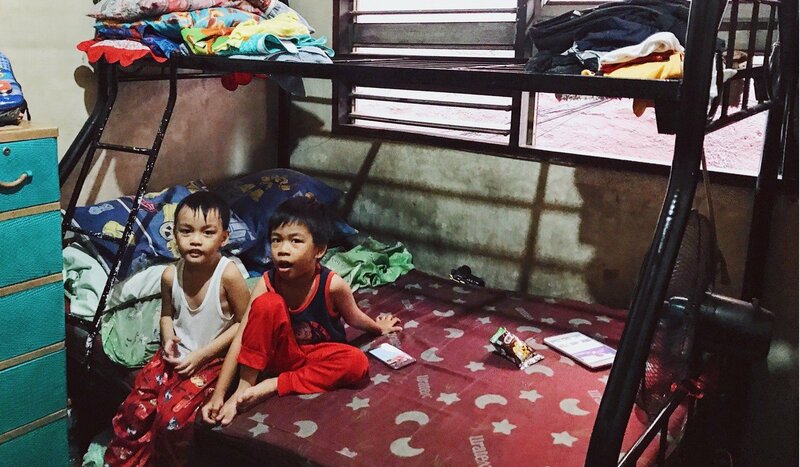 Abad grew up sleeping in the same rooms, sharing the space with his four siblings and parents. For many Filipinos the decades following the “People Power” revolution of 1986 did not bring much in terms of progress. “In the 1980s, rent was 500 pesos per month. Now I pay 5,500 pesos[US$106]. Today, it would cost at least 12 million pesos to buy this house,” he said. Manuel, 49, works as a sales and marketing manager for a lighting company, handling products for multinational companies like Phillips. Born to a lawyer and a mechanical engineer, the father of three boys and one girl speaks excellent English. “I had the privilege of going to private school. I was a good student and really enjoyed learning,” he said. Since then, Manuel has gone through several jobs, including a stint at the local urban government office. He had to change jobs, and consequently take a huge pay cut, because of President Rodrigo Duterte. One would expect Manuel to be less than approving of the Duterte. Instead, he turns out to be a staunch supporter of the combative politician. “I also now have a medical card. With this, I can go to a general hospital and get free consultation. If I go to the [local government office], I can get free health services. It used to be difficult to get a card, but now anyone can get it within three days or so. Speaking of drugs, I point out Duterte’s campaign against narcotics, including the shooting of teenagers and children, which provoked outrage in certain quarters. Manuel is measured, but unfazed. “Filipinos are very religious – we don’t want to hurt people. I don’t want to say that the ends justify the means. But at a certain point, you have to consider the majority of the population. “Some say his methods are drastic and unprecedented. But maybe it’s the only way to make things better – because we have tried everything. The past presidents, they’ve tried, but they’re afraid to offend people. “They are always after popularity. They want to be seen in a good light and they don’t want to affect the relationships they have with other companies or senators. For decades, the same families have dominated Filipino politics and business: the Osmenas, the Cojuangcos, the Aquinos – the list goes on. For the man on the street like Manuel, the lofty promises of the “People Power” revolution, which toppled the Marcos dictatorship, are yet to be fulfilled. Manuel’s neighbourhood – known for its roast pork – reflects this dismal state of affairs. Over the years, the area has grown more dense, with high-rises packing people into already crowded spaces. Moreover, even after more than four decades living here, Manuel still does not own property. Against this backdrop of stagnancy, Duterte – who comes from a powerful political clan himself – represents change, at least to Manuel and his family. And although recent surveys show his approval rating has fallen 18 points, and doubts are mounting over the efficacy of his bloody drug war, it seems many still consider the president the best way towards a better future – something Duterte needs to deliver on. “I have four children. My eldest daughter is working at a call centre. My 17-year-old boy is in Grade 12. Soon he’ll want to go to university. He’s good with numbers and so he wants to be an accountant. I never got to get a degree,” Manuel said. Manuel was also dismissive of the recent drop in Duterte’s ratings. Previous articleShould Domestic Workers Be Banned or Substituted in ASEAN?